GuestMatch Chief Strategist Burke Allen talks with veteran major market radio producer JC Fernandez. Youll learn insider tips and techniques to getting tons of free publicity doing radio shows. J.C. Fernandez is currently the On-Air/ Executive Producer for Mark and Mercedes in the Morning at KMXB/ Mix 94.1 in Las Vegas. 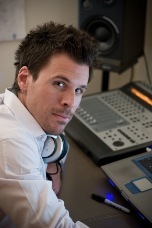 J.C. began producing for Mark and Mercedes after graduating from the University of Nevada, Las Vegas in 1997. In 2001 he left to executive produce for WWZZ in Washington DC where he successfully helped launch three morning shows. In 2005 JC returned to Las Vegas and the # 1 rated Mark and Mercedes in the Morning. In 2009 J.C. helped launch Mark and Mercedes syndication to KZZO in Sacramento. During JCs 13 year radio career he has been a Las Vegas spokesperson for Ford, The M Resort and Casino, TBS, Dunkin Donuts, Ideal Image Laser Hair Removal Center and On-Star. Burke Allen is the co-owner of GuestMatch, and the CEO of Allen Media Strategies. Burke is a long time media professional, air personality, radio station owner and consultant. His media/PR firm has placed clients on all the major television and cable networks, hundreds of radio shows, dozens of newspapers and magazines and all across the web. His upcoming media training event is October 22-24th in Washington DC. Enter the word PUBLICITY in the promo box when you register to receive a $500.00 discount on tuition, based on studio availability. Find out more at www.publicityseminar.com.